Note: You may download this resource at no cost, for personal use or for use in a Christian ministry, as long as you are not publishing it for sale. All I ask is that you acknowledge the source of this material: http://www.patheos.com/blogs/markdroberts/. For all other uses, please contact me at markblog -at- markdroberts.com. Thank you. Growing up as an evangelical Christian, I experienced Lent as little more than a joke. “What are you giving up for Lent?” my friends would ask. “Homework,” I’d say with a smirk, or “Obeying my parents.” Lent was one of those peculiar practices demanded of Roman Catholics – another great reason to be Protestant, I figured. It never even occurred to me that Lent was something I might actually be interested in, or benefit from, or decide to keep, or come to value as a way of getting to know God better. In the ancient church, Lent was a time for new converts to be instructed for baptism and for believers caught in sin to focus on repentance. In time, all Christians came to see Lent as a season to be reminded of their need for penitence and to prepare spiritually for the celebration of Easter. Part of this preparation involved the Lenten “fast,” giving up something special during the six weeks of Lent (but not on Sundays, in some traditions.) Historically, many Protestants rejected the practice of Lent, pointing out, truly, that it was nowhere required in Scripture. Some of these Protestants were also the ones who refused to celebrate Christmas, by the way. They wanted to avoid some of the excessive aspects of Catholic penitence that tended to obscure the gospel of grace. These Protestants saw Lent, at best, as something completely optional for believers, and, at worst, as a superfluous Catholic practice that true believers should avoid altogether. 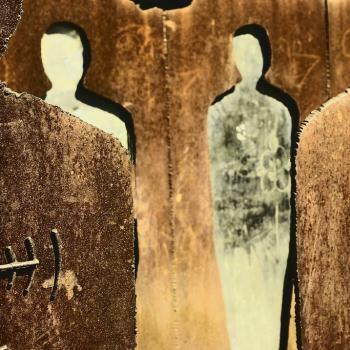 A Pastoral Word: Let me note, at this point, that if you think of Lent as a season to earn God’s favor by your good intentions or good works, then you’ve got a theological problem. God’s grace has been fully given to us in Christ. We can’t earn it by doing extra things or by giving up certain other things in fasting. If you see Lent as a time to make yourself more worthy for celebrating Good Friday and Easter, then perhaps you shouldn’t keep the season until you’ve grown in your understanding of grace. If, on the contrary, you see Lent as a time to grow more deeply in God’s grace, then you’re approaching Lent from a proper perspective. Some segments of Protestantism did continue to recognize a season of preparation for Easter, however. Their emphasis was not so much on penitence and fasting as on intentional devotion to God. Protestant churches sometimes added special Lenten Bible studies or prayer meetings so that their members would be primed for a deeper experience of Good Friday and Easter. Lent was a season to do something extra for God, not to give something up. After ignoring Lent for the majority of my life, I’ve paid more attention to it during the last two decades. Sometimes I’ve given up something, like watching television or eating sweets, in order to devote more time to Bible study and prayer. (The television fast was especially tough because I love watching March Madness, the NCAA basketball tournament, on TV.) Sometimes I’ve added extra devotional reading to my regular spiritual disciplines. I can’t claim to have had any mystical experiences during Lent, but I have found that fasting from something has helped me focus on God. It has also helped me to look ahead to Good Friday and Easter, thus appreciating more deeply the meaning of the cross and the victory of the resurrection. Before I began honoring Lent, Good Friday and Easter always seemed to rush by before I could give them the attention they deserved. Now I find myself much more ready to meditate upon the depth of Christ’s sacrifice and to celebrate his victory over sin and death on Easter. Let me be very clear: Lent is not a requirement for Christians. Dallas Willard has said that if a certain spiritual discipline helps you grow in God’s grace, then by all means do it. But if it doesn’t, don’t feel like you must do it. I’d say the same about Lent. If it helps you prepare for a deeper celebration of Good Friday and Easter, if it allows you to grow in God’s grace, then by all means keep it. If Lent isn’t your cup of tea, then don’t feel obligated to keep it. You should realize, however, that millions of Christians – Catholic, Orthodox, Protestant, and Independent – have found that recognizing the season of Lent enriches our worship and deepens our faith in God. In my next post in this series I’ll consider some of the symbolism of Lent, and suggest some possible Lenten practices to help you keep the season. Do You Have to Give Up Something for Lent? I grew up hearing about Catholics who had to fast during the season of Lent. No meat on Fridays, only fish. This, you must understand, was a costly sacrifice in the cafeteria of Glenoaks Elementary School! The fact that my Catholic friends had to give up decent food in Lent always seemed to me to be one more good reason to be a Protestant. 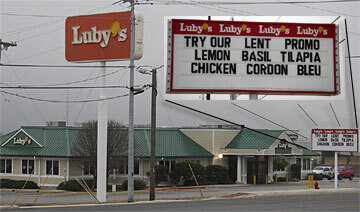 (Photo: I expect that the Lent Promo at the Luby’s in Kerrville is much better than my elementary school’s cafeteria rations.) But, in the past fifteen years or so, I’ve sometimes decided to join my Catholic sisters and brothers in giving up something during Lent. This means, depending on how you count the days of Lent, fasting from something for about six weeks. (Officially in the Western world, Lent comprises the days from Ash Wednesday to Holy Saturday, the day before Easter. But many traditions do not count the Sundays during this period as belonging to Lent. Thus Lent covers 46 days, but only 40 days belong to the Lenten fast.) People in my theological tradition (the Reformed tradition, pioneered by John Calvin) tend not to emphasize Lenten fasting. Partly this had to do with the conscious rejection of Roman Catholic practices that were not clearly based on Scripture. 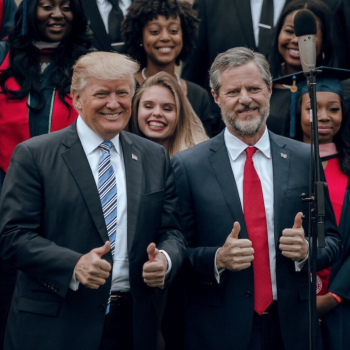 Lent is not prohibited in Scripture. But it isn’t taught there either. One can be a faithful, biblical Christian and never recognize Lent. So, in days gone by, many Reformed folk and other Protestants who wanted to make the season before Easter special in some way, chose instead to add a spiritual discipline to their lives as a way of preparing for Easter. It’s quite common today for churches that don’t have midweek Bible studies, for example, to offer a Lenten Wednesday Evening Study or something like this. Special Lenten spiritual retreats are also increasingly common in Protestant in addition to Roman Catholic circles. But fasting still plays a prominent role in Lenten practices of many Christians across the denominational and theological spectrum. Throughout church history there have been different kinds of Lenten fasts. Nobody, to my knowledge, expected anyone to give up all food for the whole season. In the Middle Ages it was common for Christians to give up certain sorts of food, like meat and/or dairy products, for example. This explains why, in my youth, Catholics abstained from meat on the Fridays of Lent. Many Catholics still observe this discipline. In the Eastern Orthodox Church, the Lenten fast is taken even more seriously than in the Roman Catholic church, with many Orthodox folk eating vegetarian meals during the season. 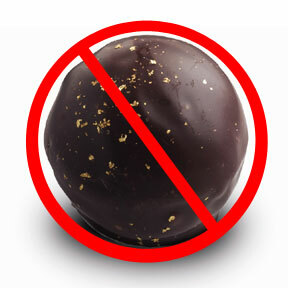 In recent years I have sometimes given up something in Lent, perhaps chocolate or watching television. The latter was particularly hard because I enjoy college basketball, and March Madness (the NCAA bastketball tournament) always falls in the middle of Lent. This year I have decided to give up something I enjoy. I’ve also adopted an additional daily spiritual discipline. It don’t think it would be appropriate for me to speak in detail about what I’m doing at this time. But I would like to share some reflections on what I’ve been learning through my version of a Lenten fast. Of course feeling hungry for one of life’s pleasures isn’t quite the same as hungering and thirsting for righteousness. But when I feel my hunger, when I sense my neediness for some other thing, I can use this to get in touch with my hunger and need for God. Fourth, as I continue with my Lenten fast, I find myself less eager for the thing I’ve given up. Ironically, this makes my fast easier. It’s almost something I can take for granted, thus dulling the spiritual impact of the fast. But I’m also gratified to know that one of my little “idols” is being set aside in my heart, as I learn to depend more upon God. I’m experiencing a bit of freedom that makes me gladly thankful for God’s grace at work in me. Instead of or in addition to fasting during Lent, you might add a spiritual exercise or discipline to your life. 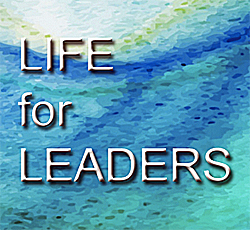 If your church sponsors a Lenten Bible study, you might choose to join this study. Or you may want to participate in some act of kindness, such as feeding people at a homeless shelter. I like to add something that I can do every day. It needs to be realistic, given my nature and patterns of life. So, for example, it would be a bad idea if I decided to get up at 5:00 a.m. to pray for an hour each day of Lent. This would stretch me so far that I’d surely fail. But I could take on additional Bible reading. Some years I’ve read one chapter of a gospel each day of Lent, taking it in slowly and meditating upon it. Other years I’ve used a Lenten devotional to focus my thought. If you have no idea what to do during Lent, let me suggest the following. Set aside some time of quiet to as the Lord what he wants you to do. See if the Spirit of God guides you to something. If nothing comes to mind, I’d recommend that you read a chapter of a gospel each day. If you start with Mark, you’ll have time to read all of Mark plus all of one other gospel during Lent. Perhaps some of my readers would like to suggest Lenten disciplines that they have tried in the past, and how they have experienced God’s grace through these exercises. So, as we enter the season of Lent, I am grateful for the saints who have gone before me, some of whom discovered the blessings of giving up something in Lent, while others grew in their faith by adding a Lenten discipline. No matter what you do during this Lenten season, I pray that God will draw us closer to him, and prepare us for a fresh experience of Good Friday and Easter. May God’s peace be with You!